I’ve always loved the idea of summer … and sun … and all things hot …. gosh, I miss summer. I’m totally channeling my inner Olaf right now. Oh summer … what makes me think of summer is s’mores. Seriously, I love them. 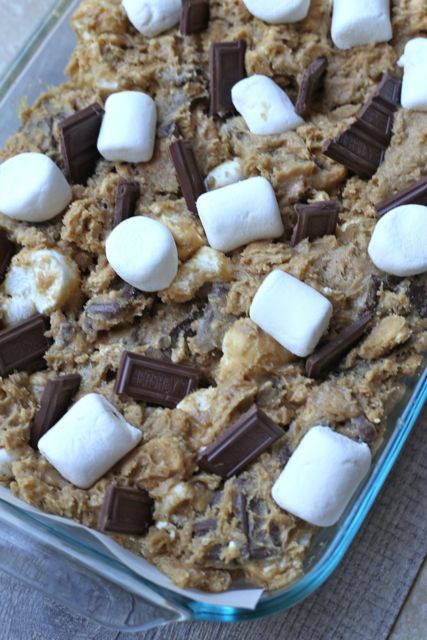 The melty feel of freshly browned marshmallows over a crackling fire, the crunch of graham crackers crumbling everywhere (no matter how careful I bite into the thing), and the chunky goodness of a bite of chocolate. So yum. In the winter months, I’ve been known to make s’mores in the microwave. It’s so not the same experience, but it’s really fun to watch the marshmallows blow up. It’s like I instantly become a 5-year-old again who must look directly into the microwave and observe every moment of what is happening to my mallow; I don’t care about the radiation. And by the way, is that even a real thing? If it is, whatevs. Live on the edge with me. Channel your inner child. Go crazy. I recently discovered another way to enjoy my love of s’mores. 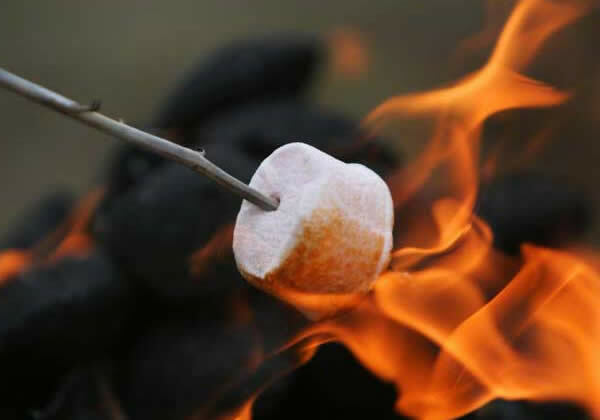 Did you know we can enjoy all of the flavors of our favorite campfire treat in bar form? No fire needed for this one. I made some minor tweaks to the recipe I found online and seriously, one tweak I must strongly encourage you to do is put some of the marshmallows on top of the batter after you’ve mixed everything together. Don’t forget that step. You get to watch the mallows blow up in the oven now and then you get this pretty toasted look on top. It’s worth it. Summer is coming soon. This will be a good warm up. Enjoy. When you are inserting your toothpick to check for doneness, try to aim for the batter areas. Avoid the chocolate or marshmallows as of course the toothpick will be sticky.